Every Day is Earth Day in Virginia! 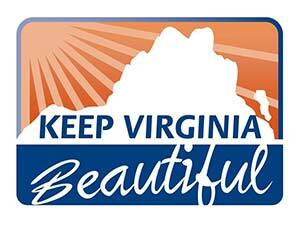 The mission at Keep Virginia Beautiful is to engage and unite Virginians to improve our natural and scenic environment. Our goals include becoming the leading statewide voice, providing a framework for improved communication and collaboration, cultivating and supporting sustainable programs, and engaging citizens by linking them to volunteer opportunities and information about 5 impact areas: Litter Prevention, Recycling, Waste Reduction, Beautification and Education. Adopt-a-Highway – KVB partnership with VDOT where all are encouraged to claim 2 miles and commit to cleaning up 2-4x during the year. 30 Grants in Thirty Days – Since 2011, we have provided $178,000 for 230 different projects at schools, colleges, parks, counties and towns, environmental groups, associations, nonprofits, and service organizations! Get Caught in a Beautiful Act – Social Media Campaign where acts of environmental kindness are recorded and shared! Shiver in the River – KVB’s annual Winter Festival featuring a huge community clean-up, 5K Run/Walk and Jump in the James!